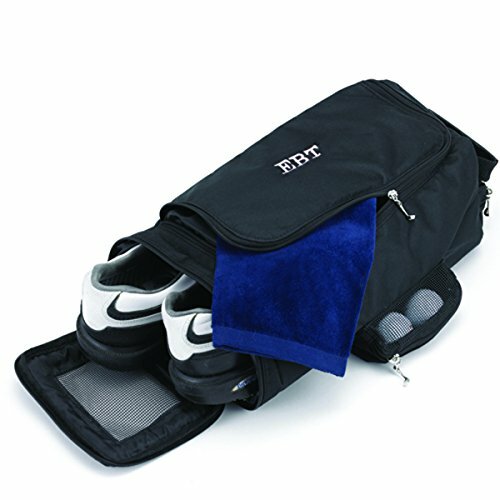 Looking for a sensible way to carry your golf, workout, or bowling shoes store them in our attractive personalized shoe bag, ideal for the sports-minded individual or the avid traveler. This little bag features an end zipper for easy access and two pockets for storing essential accessories. A convenient handle makes carrying easy and ventilation keeps this personalized shoe bag fresh as a daisy! measures 15" x 6 1/2" x 5 3/4". embroidered using white thread as pictured. Measures 15" x 6 1/2" x 5 3/4"
If you have any questions about this product by JDS Marketing, contact us by completing and submitting the form below. If you are looking for a specif part number, please include it with your message.